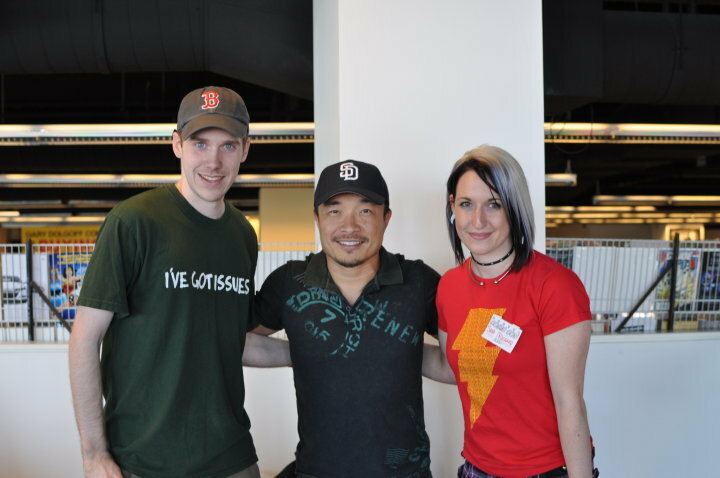 Sara Richard's Blog: Boston Comic Con 2010 report, And now C2E2! Boston Comic Con 2010 report, And now C2E2! And I got the opportunity to donate a cover sketch to the Inkwell Awards! It's up on ebay for you to purchase and support this foundation! Anyway, this weekend I'm off to Chicago to C2E2! I'll be sharing a table so I 'll probably just be bringing prints and the sketch book. But I had so many extra stickers that I might be giving some of those out too. If you're in the Chicago area, come say Hi! It should be a pretty bitchin show! Boston Comic Con was and is an amazing show! Can't wait to go to the next one! Hey you should also check out the celebs this year that are coming like Sam Worthington, Antoine Fuqua and Wesley Snipes!